SKU: BWBSUK255. 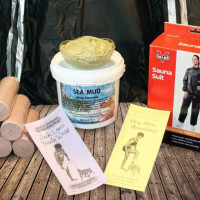 Category: Body Wraps. 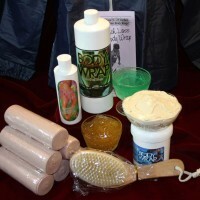 Body Wrap Kit- great starter package consisting of everything you need to get started. 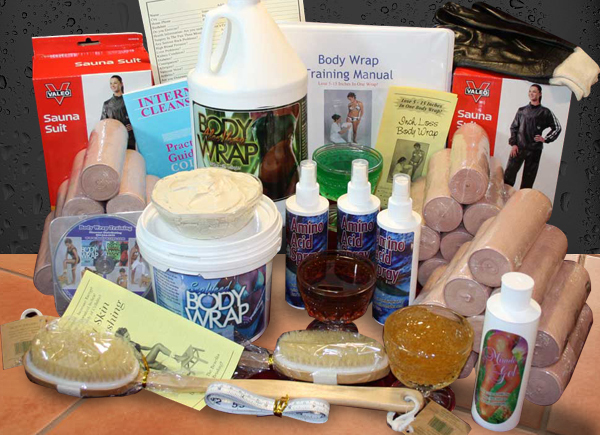 Start your own body wrap business with this low price package which includes the warming oven. Now you can offer the same body wrap spa formulas of high priced salons in New York City, Beverly Hills, and Palm Springs. Your clients may lose 5-15 Inches in one body wrap. Experience a cleansing and detoxifying wrap with our 99% pure Aloe Vera “collagen enriched” formula included in this kit. With the Sea Clay and Sea Mud formula they will experience an all over pulling and tightening effect. This kit has enough formula for 500 complete treatments, typically five times more than our competitor’s for the same price.